John Holdren is Assistant to the President for Science and Technology, Director of the White House Office of Science and Technology Policy, and Co-Chair of the President's Council of Advisors on Science and Technology (PCAST). Other institutional affiliations include include Harvard University, the University of California at Berkeley, and the Wood Hole Research Center. His research interests include aerospace engineering and theoretical plasma physics. March 1, 1944Birth, Sewickley (Pa.). 1965Obtained BS, Massachusetts Institute of Technology (MIT), Cambridge (Mass.). 1966Obtained MS, Massachusetts Institute of Technology (MIT), Cambridge (Mass.). 1966 – 1967Consultant on Re-entry Physics, Lockheed Missiles and Space Company. 1969 – 1970Research Assistant, Institute for Plasma Research, Stanford University, Stanford (Calif.). 1970Obtained PhD in Aeronautical, Astronautical, and Electrical Engineering, Stanford University, Stanford (Calif.). 1970 – 1975Member, International Environmental Program Committee, National Academy of Sciences and National Academy of Engineering. 1970 – presentPhysicist, Theory Group, Magnetic Fusion Energy Division (1970-1973); Faculty Consultant, Magnetic Fusion Energy Division (1973-present); and Faculty Consultant, Laser and Environmental Directorate (1994-present), Lawrence Livermore National Laboratory, Livermore (Calif.). 1971 – presentLecturer (1971-1972); Assistant Professor of Energy and Resources (1973-1975); Associate Professor of Energy and Resources (1975-1978); Professor of Energy and Resources (1978-1991); Acting Chair, Energy and Resources Group (1982-1983); Vice Chair, Energy and Resources Group (1983-1996); Chair of Graduate Advising, Energy and Resources Group (1988-1996); Class of 1935 Professor of Energy and Resources (1991-1996); and Professor of Energy and Resources Emeritus (1996-present), University of California, Berkeley, Berkeley (Calif.). 1972 – 1973Senior Research Fellow, California Institute of Technology. 1975 – 1979Member, Committee on Nuclear and Alternative Energy Systems, National Research Council. 1975 – presentFaculty, International Institute for Applied Systems Analysis. 1978 – 1979Member, Energy Research Advisory Board, United States Department of Energy. 1981Fellowship, John D. and Catherine T. MacArthur Foundation. 1983 – presentVice Chair, Committee for International Security Studies, American Academy of Arts and Sciences. 1984 – 1986Chair, Federation of American Scientists. 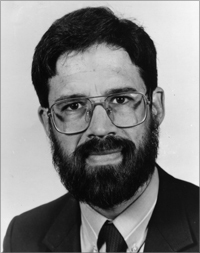 1985 – 1989Chair, Senior Committee on Environmental Safety and the Economic Aspects of Magnetic Fusion Energy, United States Department of Energy. 1986 – 1987Kistiakowsky Visting Scholar, American Academy of Arts and Sciences. 1987 – 1988Guest Researcher, Max Planck Society. 1987 – 1997Chair, Executive Committee, Pugwash Conferences on Science and World Affairs. 1991Member, National Academy of Sciences. 1992 – 2009Visiting Scholar (1992-1994); Distinguished Visiting Scientists (1994-2005); Vice Chair, Board of Trustees (1994-2005) and Director (2005-2009), Woods Hole Research Center, Woods Hole (Mass.). 1993 – 2004Chair, Committee on International Security and Arms Control, National Academy of Sciences. 1994 – 2001Member, President's Committee of Advisors on Science and Technology. 1996 – presentDirector, Science Technology and Public Policy Program, John F. Kennedy School of Government (1996-2009); Teresa and John Heinz Professor of Environmental Policy, John F. Kennedy School of Government (1996-present); and Professor of Environmental Science and Public Policy, Department of Earty and Planetary Sciences (1996-2009), Harvard University, Cambridge (Mass.). 2002 – 2009Co-Chair, National Commission on Energy Policy. 2007President, American Association for the Advancement of Science. 2009 – presentDirector and Assistant to the President, Office of Science and Technology Policy, Executive Office of the President, Washington (D.C.). Aerospace engineer and theoretical plasma physicist. Both employed at Lawrence Radiation Laboratory and Lawrence Livermore Laboratory. Both employed at Harvard University, John F. Kennedy School of Government. Both employed at Lawrence Livermore Laboratory. Both employed at the Office of Science and Technology Policy. Professor of Environmental Science and Public Policy. Teresa and John Heinz Professor of Environmental Policy and Director, Science Technology and Public Policy Program. Physicist, Theory Group, Magnetic Fusion Energy Division. Faculty Consultant, Magnetic Fusion Energy Division and Faculty Consultant, Laser and Environmental Directorate. Physicist, Theory Group, Magnetic Fusion Energy Division (Livermore campus). Obtained PhD (1970). Research Assistant. Director and Assistant to the President. Lecturer; Assistant Professor of Energy and Resources; Associate Professor of Energy and Resources; Professor of Energy and Resources; Acting Chair, Energy and Resources Group; Vice Chair, Energy and Resources Group; Chair of Graduate Advising, Energy and Resources Group; Class of 1935 Professor of Energy and Resources; and Professor of Energy and Resources Emeritus. Director; Visiting Scholar; Distinguished Visiting Scientist; and Vice Chair, Board of Trustees. Kistiakowsky Visiting Scholar and Vice Chair, Energy and Resources Group. Obtained BS (1965) and MS (1966). Member, International Environmental Program Committee and Chair, Committee on International Security and Arms Control. Member, Committee on Nuclear and Alternative Energy Systems. Member, Energy Research Advisory Board and Chair, Senior Committee on Environmental Safety and the Economic Aspects of Magnetic Fusion Energy. Energy for a Carbon-Constrained World [videorecording] : A public symposium honoring Robert H. Williams, 3 April 2017. Home Page of John Holdren, Harvard Kennedy School of Government.